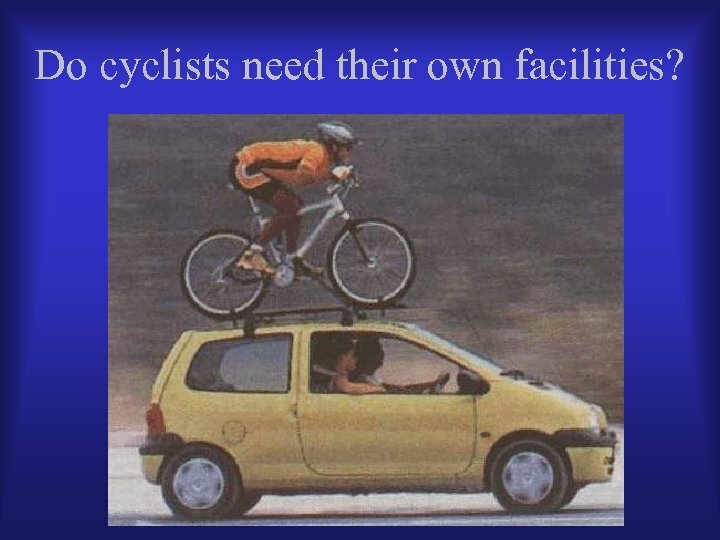 Do cyclists need their own facilities? 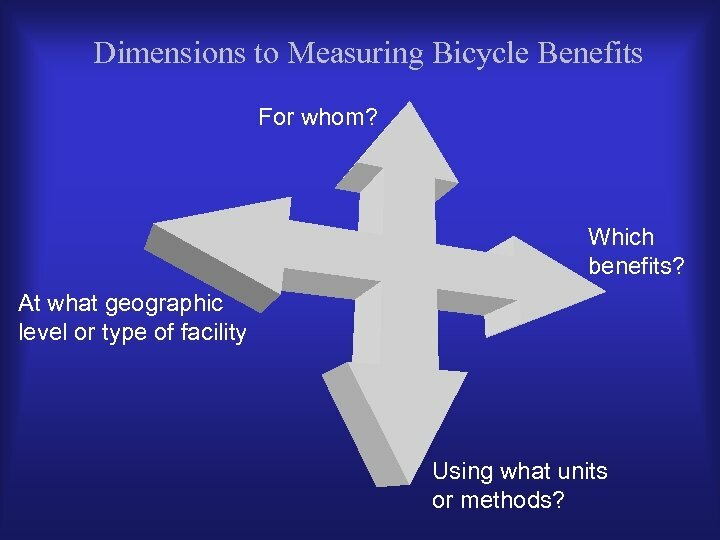 Dimensions to Measuring Bicycle Benefits For whom? 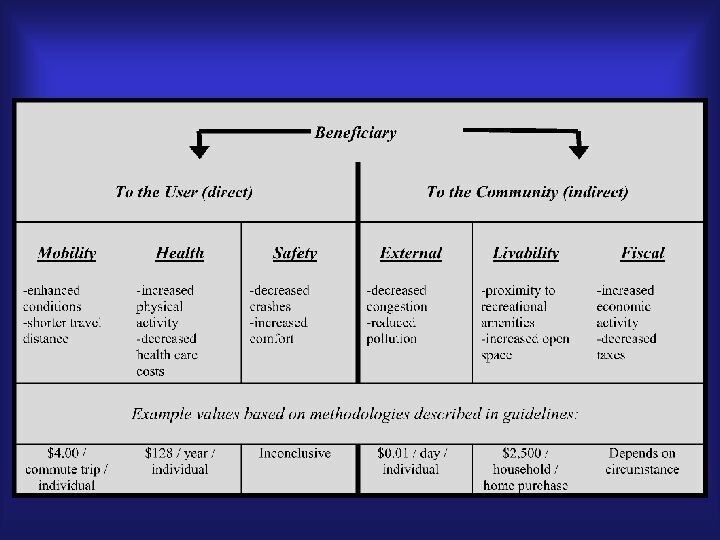 Which benefits? 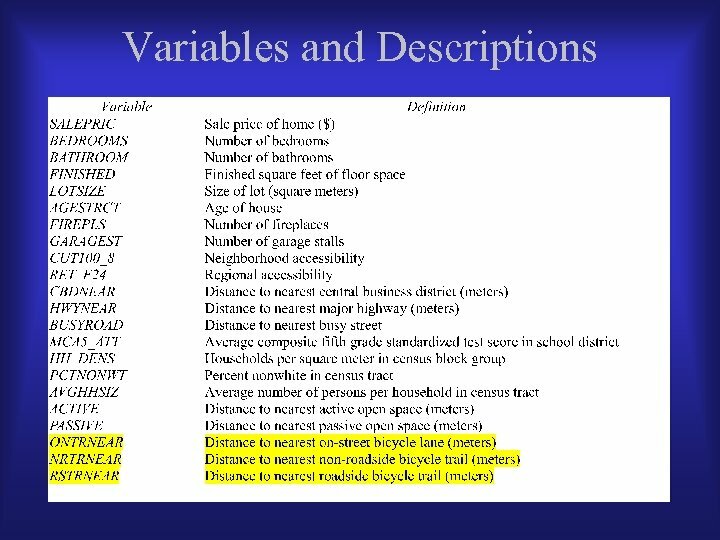 At what geographic level or type of facility Using what units or methods? 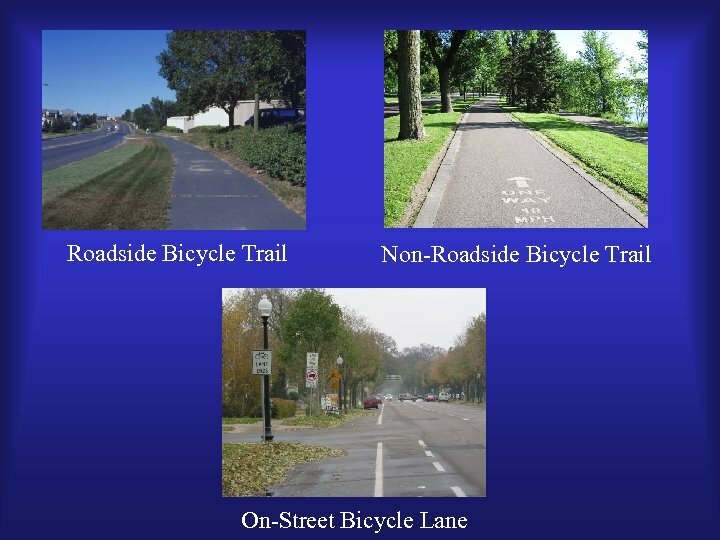 Introduction • • Bicycle facilities are non-market goods Not bought and sold in an open market Difficult to attach an economic value What would economists do? 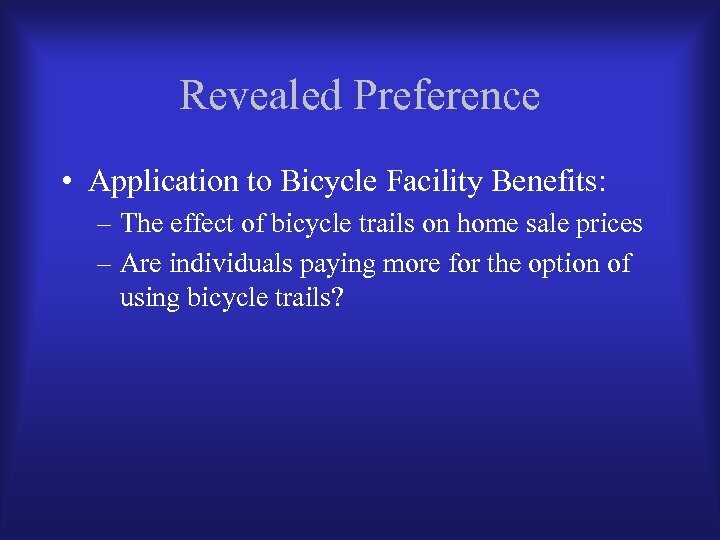 Revealed Preference • Application to Bicycle Facility Benefits: – The effect of bicycle trails on home sale prices – Are individuals paying more for the option of using bicycle trails? 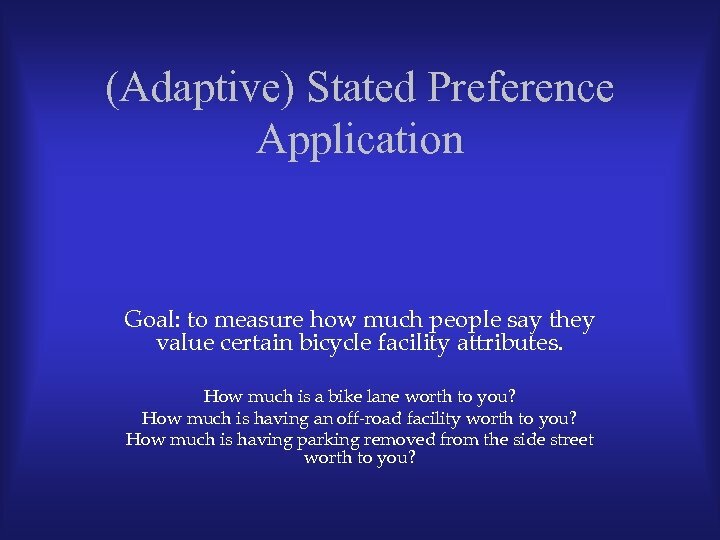 (Adaptive) Stated Preference Application Goal: to measure how much people say they value certain bicycle facility attributes. 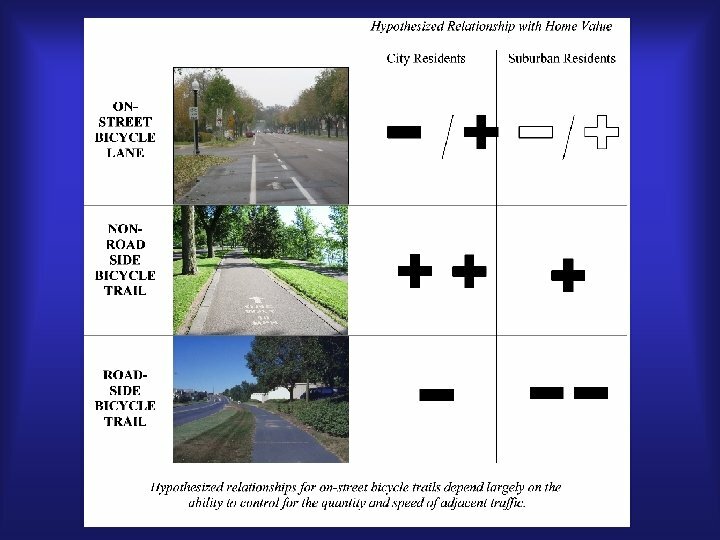 How much is a bike lane worth to you? How much is having an off-road facility worth to you? 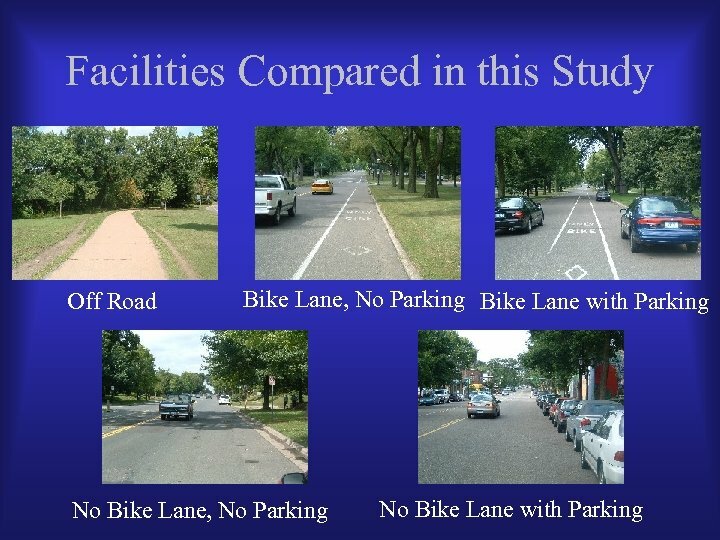 How much is having parking removed from the side street worth to you? 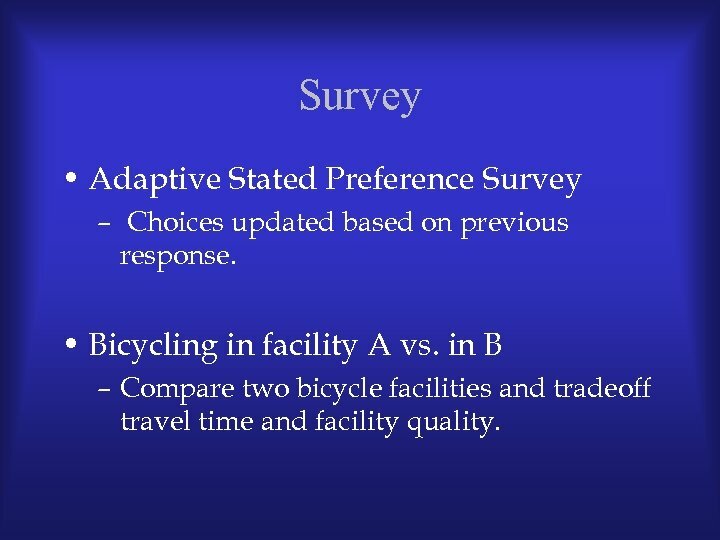 Survey • Adaptive Stated Preference Survey – Choices updated based on previous response. 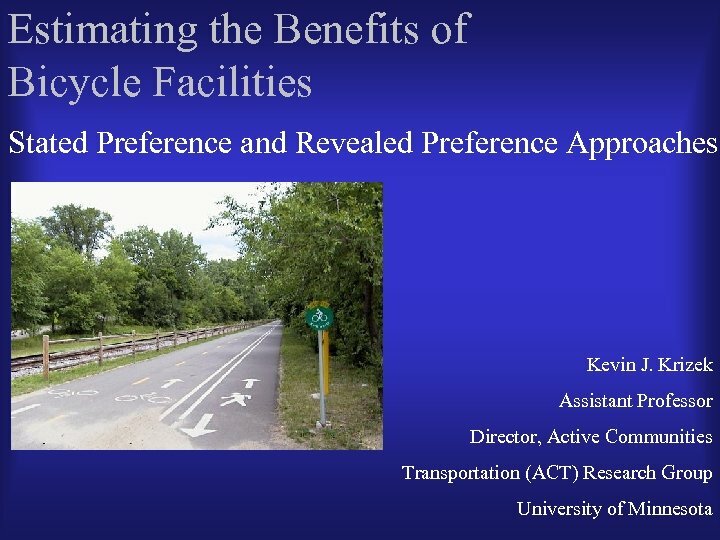 • Bicycling in facility A vs. in B – Compare two bicycle facilities and tradeoff travel time and facility quality. 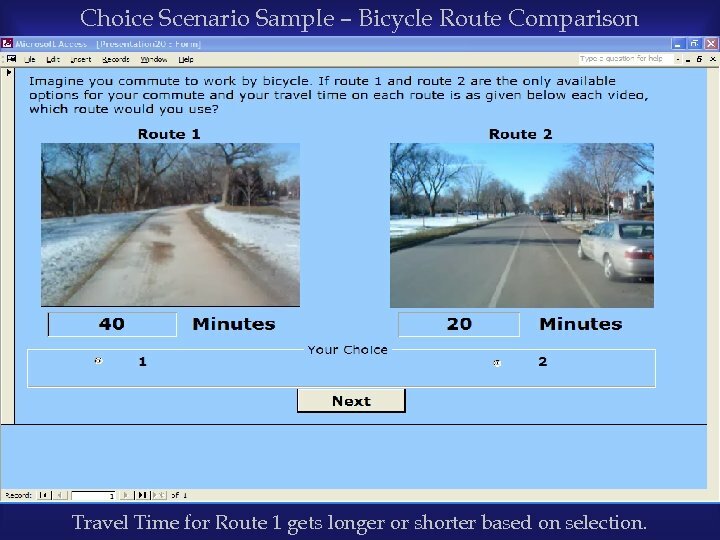 Choice Scenario Sample – Bicycle Route Comparison Travel Time for Route 1 gets longer or shorter based on selection. 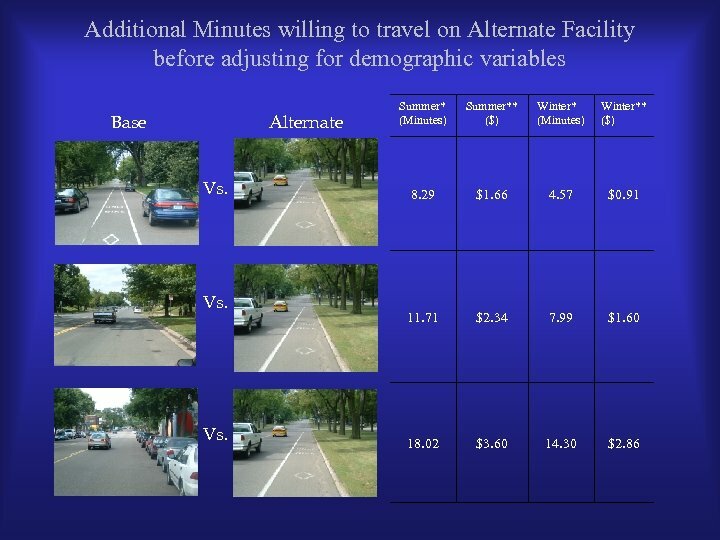 Additional minutes willing to travel on an alternate, better quality facility before adjusting for demographic variables Summer* (Minutes) Summer** ($) Winter* (Minutes) Winter** ($) 9. 86 $1. 97 6. 15 $1. 23 13. 98 $2. 80 10. 27 $2. 05 Vs. 16. 26 $3. 25 12. 54 $2. 51 Vs. 20. 38 $4. 08 16. 66 $3. 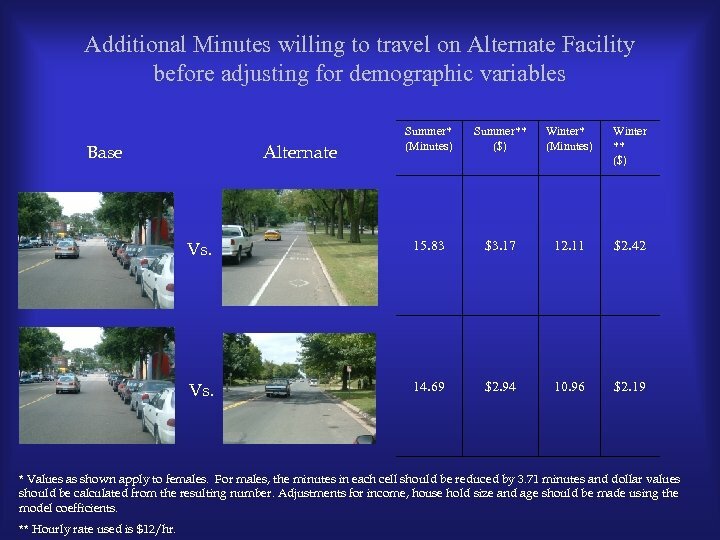 33 Base Alternate Vs.
Additional Minutes willing to travel on Alternate Facility before adjusting for demographic variables Summer* (Minutes) Summer** ($) Winter* (Minutes) Winter ** ($) Vs. 15. 83 $3. 17 12. 11 $2. 42 Vs. 14. 69 $2. 94 10. 96 $2. 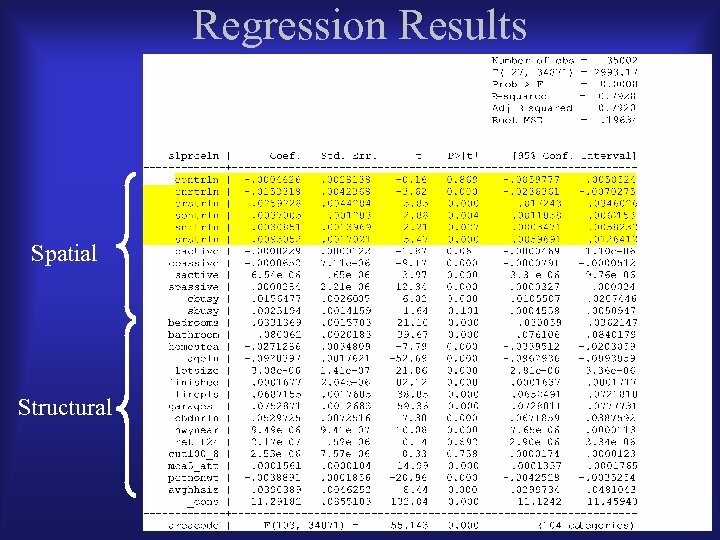 19 Base Alternate * Values as shown apply to females. 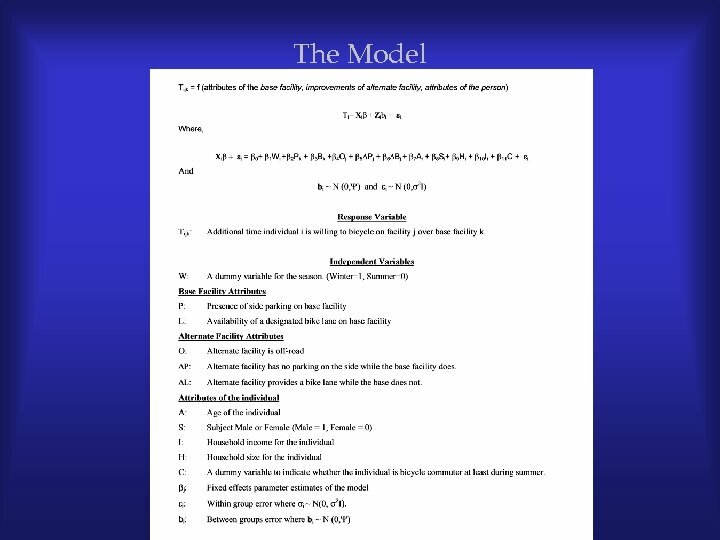 For males, the minutes in each cell should be reduced by 3. 71 minutes and dollar values should be calculated from the resulting number. 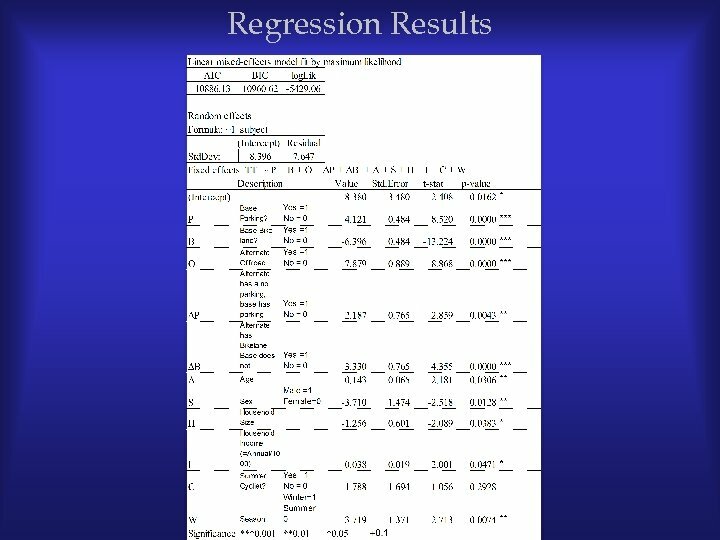 Adjustments for income, house hold size and age should be made using the model coefficients. ** Hourly rate used is $12/hr. 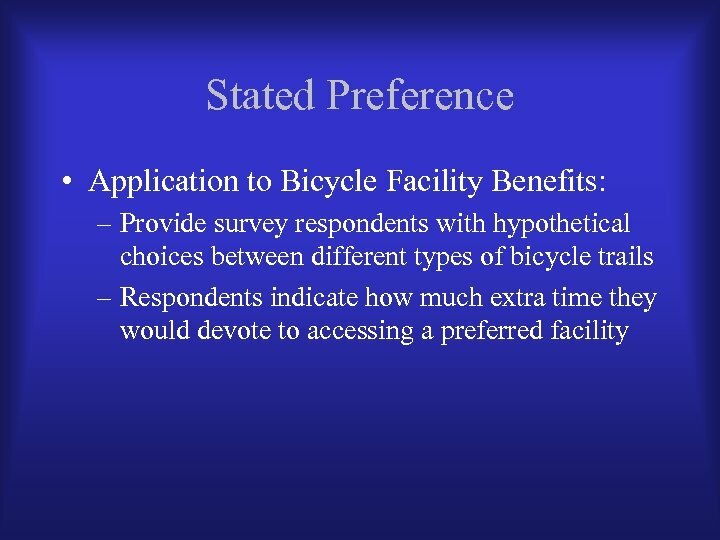 Revealed Preference Goal: to measure how much people do they value certain bicycle facility attributes. 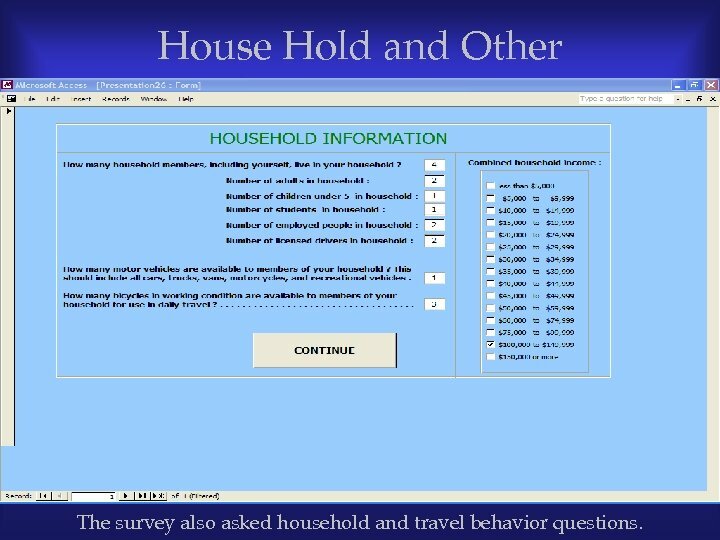 House Hold and Other Information The survey also asked household and travel behavior questions. 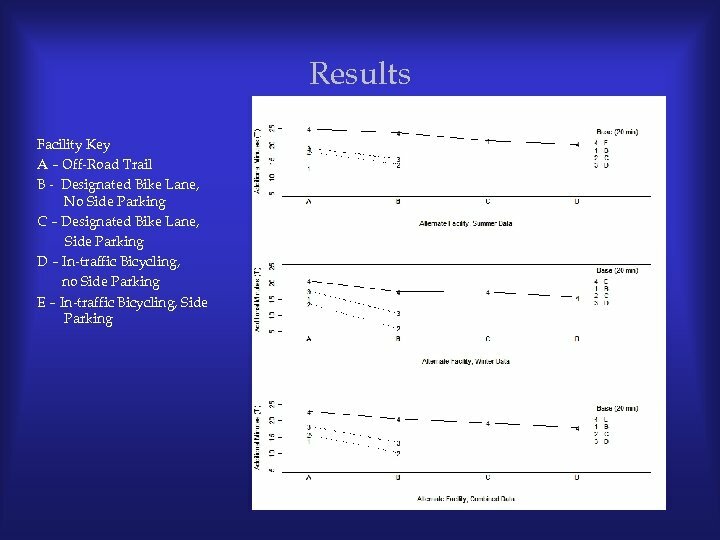 Motivations • Encouraging cycling as a viable mode can potentially be easier when you have facilities that people prefer. 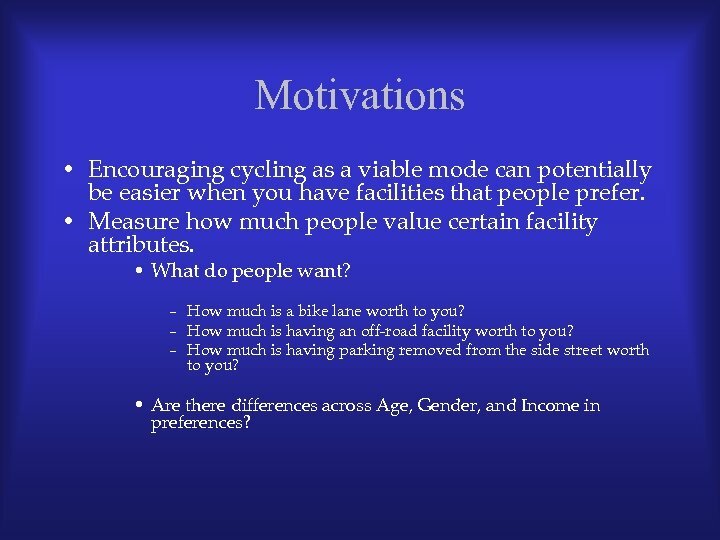 • Measure how much people value certain facility attributes. 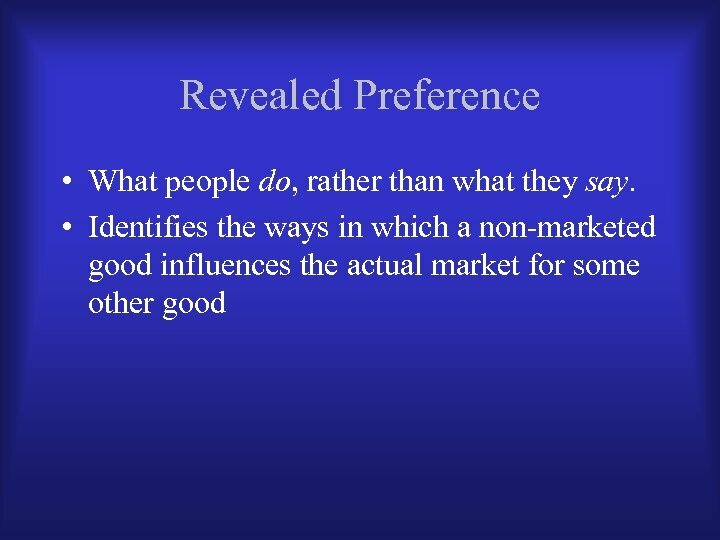 • What do people want? 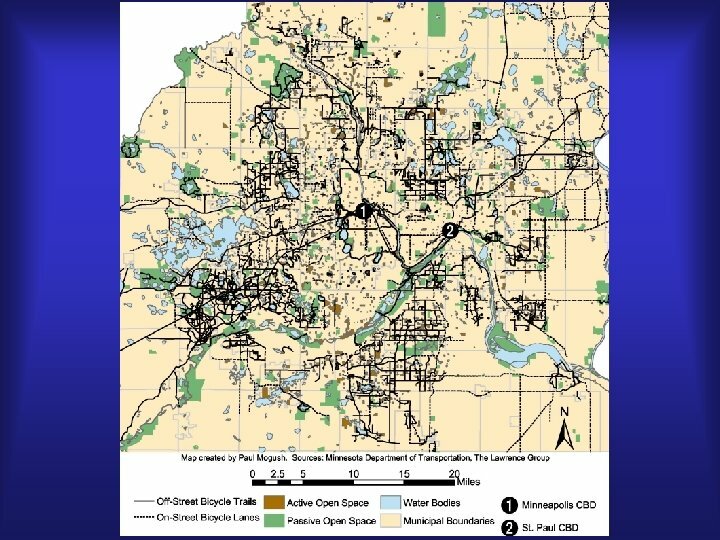 – How much is a bike lane worth to you? – How much is having an off-road facility worth to you? 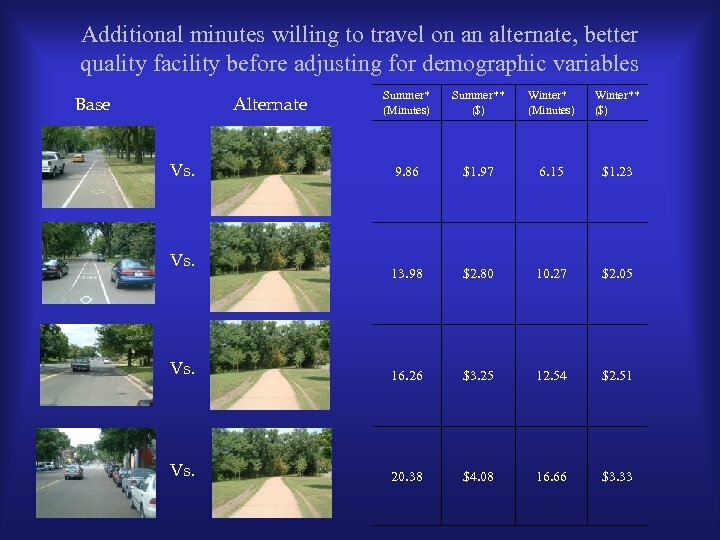 – How much is having parking removed from the side street worth to you? 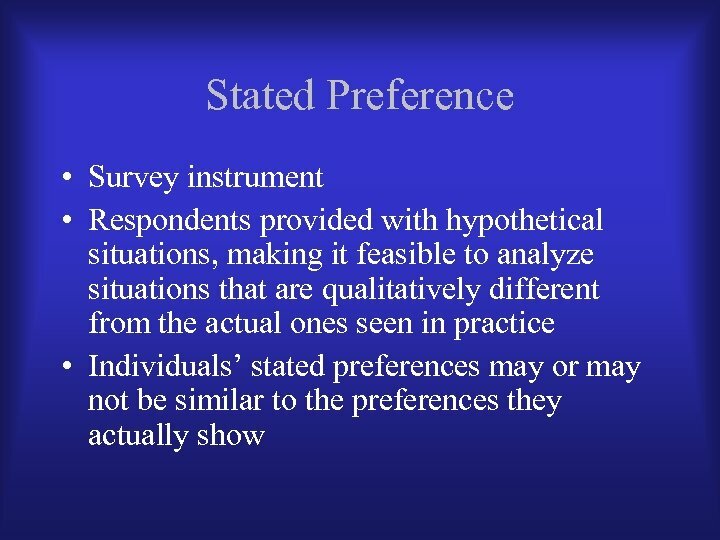 • Are there differences across Age, Gender, and Income in preferences?